Benefiting from innovative systems and a breadth of market knowledge, we offer great value services to our customers. When you choose Unicom as your water supplier we aim to find you savings compared to your area’s default rate*. 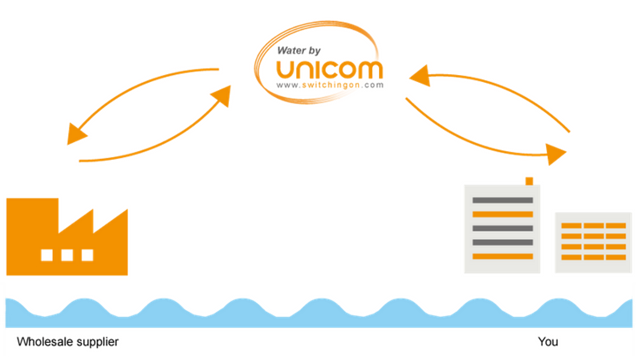 We’re very confident that our prices for business water are among the lowest in the industry, however, in order to further increase our customers’ confidence in their decision to switch to Unicom, we offer the Unicom Price Beat Guarantee. 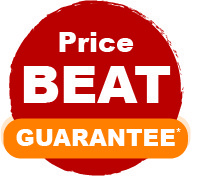 With our Price Beat Guarantee, if you’re offered a better deal within 30 days of your contract with Unicom, we’ll BEAT that price or allow you to cancel without charge*. We understand that for customers, switching water supplier can sometimes seem like a daunting proposition. Well, we can assure you, when it comes to switching water services to Unicom, there is absolutely nothing to worry about. Switching to Unicom Water could not be easier, typically, all it takes is a 10-15 minute phone call, following which, we will do all the work. Previously, businesses with sites in different regions have been billed separately for each site by the water company which covers each region. With businesses now able to choose their water supplier, however, all sites can be supplied by the same company, all on the same bill, reducing paperwork and admin costs. Water and wastewater service will continue to be supplied by regional water companies which will also continue to maintain the water network. Water retailers will purchase water and wastewater services on a wholesale basis from regional water companies and will then provide these services to customers along with billing, meter reading and other customer services. The water retailer will provide billing and customer service to non-household water customers. *Water is supplied by Clear Business Water Ltd, a licensed provider of water and waste services in England and Scotland, on behalf of Unicom. **Default rates can be found on individual retailer’s websites. Savings based on discount on area’s default rates. **If you’re offered a better deal within 30 days of transferring to Unicom , just send us the full details by email to info@switchingon.com and we’ll BEAT that price or allow you to cancel without charge. You’ll just need to pay for the services provided during your time with us. Competitor’s offer must be for the same services and include prices for all service types, any applicable meter type, water usage, waste water usage and property and highways drainage.